Dear South Korean Surplus car Dealers; Please do increase the number of units to be imported here in the Philippines; and if not possible give us the cabs.. 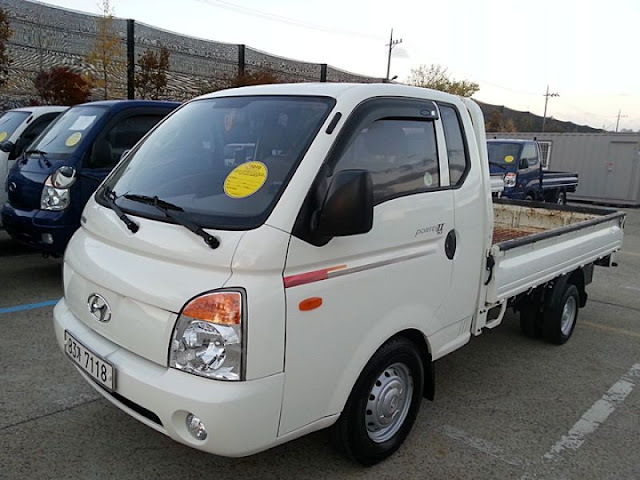 Yes it seems to good to be true the new hyundai porter 2 also known here as the Hyundai H100 is getting more and more popular among private and car rental owners alike.. 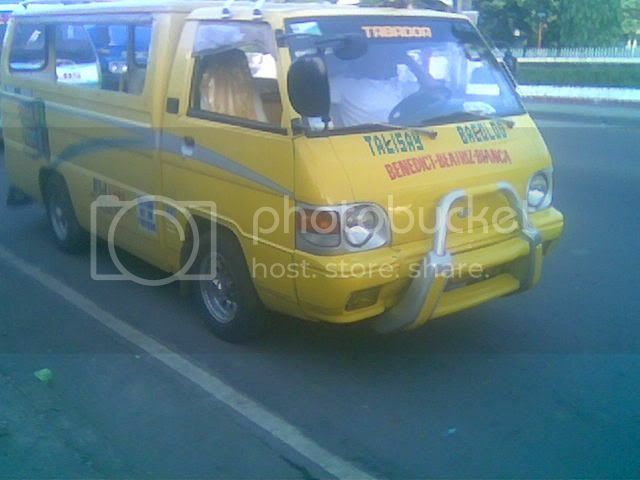 But it seems the Jeepneys here in Bacolod and negros seems to need a fresh new look for this year do we?? well.. it seems the late 2007-2010 surplus porters seems to be one of our best candidates for a new jeepney platform..
better known as the Hyundai Porter II in South Korea, most models that are now available South Korea is the extended cab (which is not available in the hyundai global CV lineup) and the extended cab version. both are in rear double tire configuration. like its predecessor, the 3rd generation Porter. Sitting up in the cockpit Hyundai Porter 2 through a wide door comfortable. Cabin trim and equipment is no different from the saloon car. The room design quality, pleasant to the eye and to the touch materials. All items are well tailored - build quality is up to par. In two seat adjustment - longitudinal and backrest. Back with appreciable lateral support proved to be extremely comfortable.The controls are easily accessible, the lever five-speed manual gearbox is located at a convenient distance, the transfer switch easily and clearly. 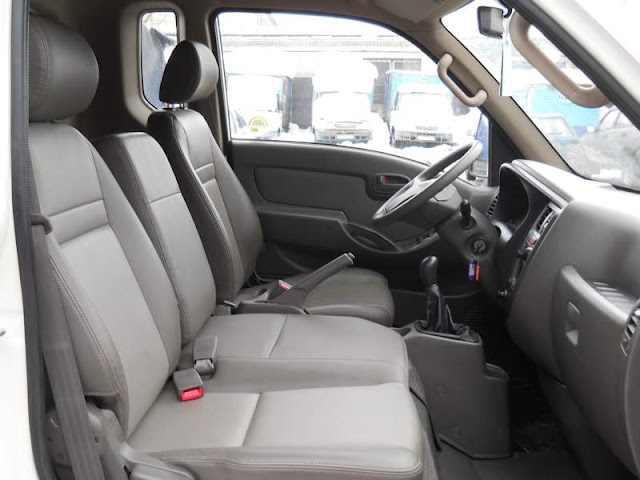 Compared to its predecessor, interior Hyundai Porter 2 significantly updated: changed the instrument panel, controls and decoration materials. Compared to its predecessors, The Hyundai Porter 2 was much more modern and glamorous thanks to organic LED and crystal lamps on the front. New lights - the first thing that catches the eye, but if we look closely, you can see that has changed almost all the cabin: the new shape of the doors, side mirrors, and more. 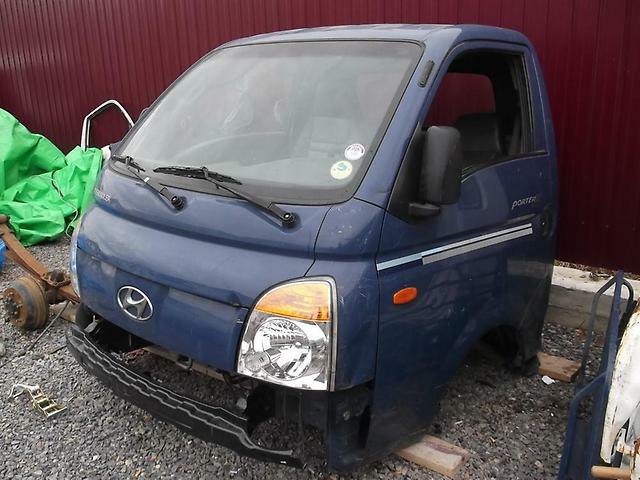 Like its predecessor, Hyundai Porter 2 - a car-designer. On the chassis can install anything, just to fit the size and capacity. The Cab is purely utilitarian: rounded, slicked forms promise good aerodynamics. The cab fit solidly, with uniform gaps. Large windscreen and side windows, and spherical mirrors provide excellent visibility. Dimensions Hyundai Porter 2 has a dimension of (length / width / height, mm) - 4750/1690/1930. 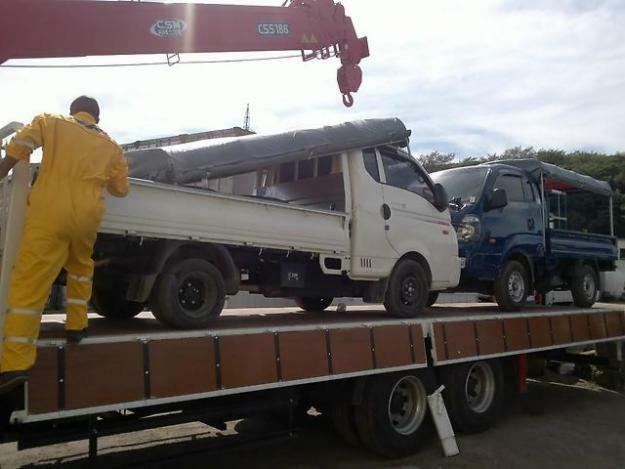 Slightly Increased cabin Hyundai Porter 2 and units are mounted on a rigid frame made ​​of multi-section steel profile. Access to the engine Hyundai Porter 2 - from the cabin: the passenger seat is raised and fixed focus. 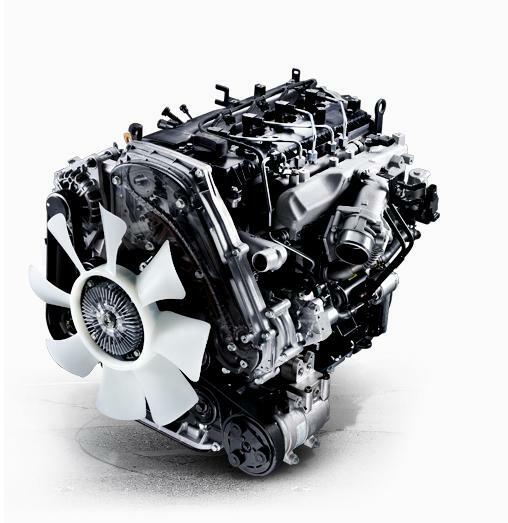 exclusively for the south korean market, the engine of the porter II is the Hyundai D4CB 2500CC Diesel engine, the D4CB puts out 140PS at 3800 rpm and an a maximum torque of 35N-m @ 2000 rpm. the D4CB has an electronic common rail fuel injection system and DPF system and the engine is also similar to the engine used by the Kia Sportage and the Hyundai Tucson.the D4CB has more horsepower and torque rating than the recent D4 series of Engines; iAs of this late season there are 3 versions of the diese engine Available; First - atmospheric 8-valve 2.5-liter, it produces about 75 hp, and the second - a 16-valve engine, turbocharged, so its capacity is about 130 hp Third, the 2.5-liter turbo diesel with direct injection COMMON RAIL, its capacity of about 150 hp All engines are mounted on the Hyundai Porter 2 , have balancing shafts. the Porter II is available in both automatic and manual transmission versions. With the increasing number of CRDi equipped surplus vehicles arriving in the local market there are already a handful of skilled technicians who have knowledge on this models of engines.. one of them I know has already done work on a Porter II 126PS owned by a korean national here in the city..
Rear Suspension Hyundai Porter 2 - spring with fixed bridge. The front suspension is independent, double wishbone. Has front stabilizer bar, rear stabilizer optional installation.Steering rack and pinion type, equipped with hydraulic option. 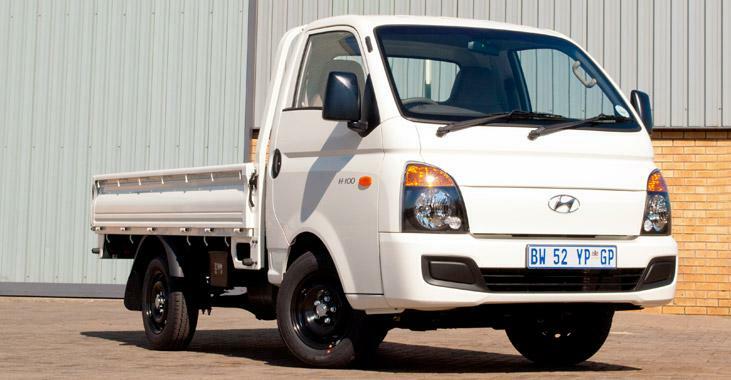 Those who rode Hyundai Porter 2 , said the porter 2's have registered handling models: the low level of bank, good cornering. Suspensorial "minimalism" in the form of the front passenger and a simple rear beam on springs -Hyundai Porter 2 benefit, comfort such suspension provides ample. 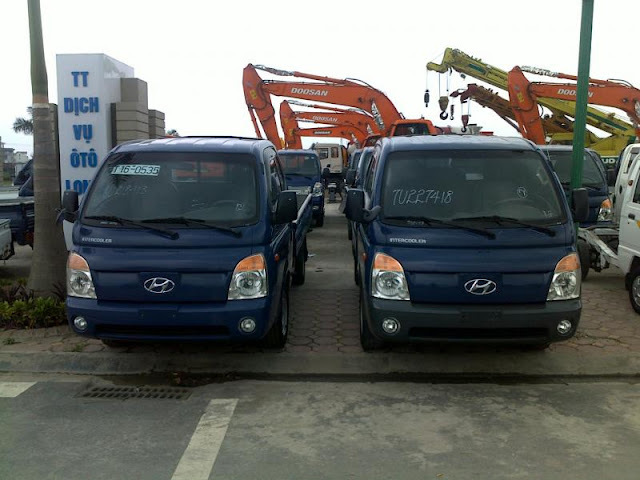 Seams, joints, asphalt patches Hyundai Porter 2 without forcing the transmission of vibrations to the salon. The Porter 2's cab mounting points are almost the same as that of its 3rd generation predecessor.